rides-to-be shopping on May 19 can score a discount thanks to the royal wedding. 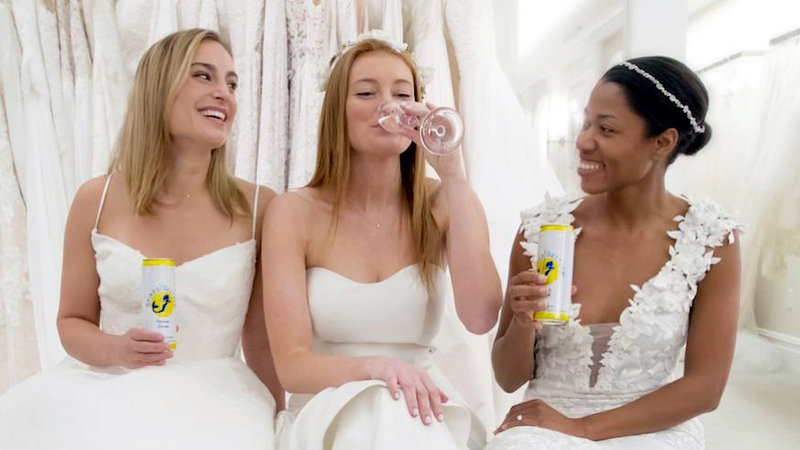 The boozy sparkling water brand is gifting the bigtime discount to the first 10 brides who choose a mermaid-style dress — in homage to their own mermaid “muse” featured on their cans — at Kleinfeld, the New York bridal shop made famous by the TLC series Say Yes To the Dress. With 30,000 square feet of racks to browse, you’ll probably need help from one of their 250 stylists. And if you still can’t find your dress, it probably doesn’t exist. The race to win one of the coveted vouchers begins at 7 a.m. (so you’ll still be able to watch the ceremony before focusing back on your own wedding) and ends at 7 p.m.